Pick a favorite book, movie, or game (it can be a video, card, or board game), write a review describing it and recommending it. Complete the online form to submit your review. Everyone who completes a review will be eligible for a chance at the grand prize. There will be two grand prize winners one from middle school and one from high school who will receive a $15.00 gift card to iTunes or Amazon. Return to the Teen Tech Week 2016 page here. Extraordinary Means focuses on Lane and Sadie who suffer from a fictional form of tuberculosis that is multi-drug resistant. Due to the fact that TB is highly contagious, the patients are placed in a boarding school/medical facility known as Latham House. Lane was a golden child, taking all AP courses and having his future planned out for him. When he contracted the disease, his life was destroyed. He tried to keep up his academics, but he physically couldn't. Sadie, on the other hand, never stressed over her classes. She didn't view TB as a major threat to her, but silently acknowledges that life is short, living her life fully. She and her friends run the black market of Latham House, and even sneak out to the nearby town. When Lane arrives at Latham, he ends up sitting with the obsessive and slightly annoying prayer groupies. After he helps get Sadie and her friends out of trouble, he joins their group and stops planning for life. He starts living it. Extraordinary Means is a very moving novel that illustrates the coming-of-age genre in a literal life-is-short way. The author, Robyn Schneider, expertly wrenches emotion from the reader as she describes the interactions between the characters. From Lane moping in the gazebo to Sadie in the medical wing, the book brings tears to the reader's eyes in a satisfying way. Extraordinary Means also shows just how a few bad decisions can have a major impact. The book Carry On is about Simon Snow, the Mage’s Heir and his quest to help his roommate find his mother’s killer. Simon finds love, shares an adventure, and saves a few lives in the process. At the same time, Simon has to defeat the Humdrum and find out more information about his past. Can Baz be trusted and should Simon really help him find his mother’s killer? I recommend Carry On by Rowell to anyone who is a fiction lover. I loved this book because it combined elements of fantasy with stories like Harry Potter and was like reading actual fan-fiction. I love how this book was like the author writing fan-fiction for her own books. Simon and Baz are close to my heart and close to Cath’s heart in Fangirl also by Rowell. As a reader/writer of fan-fiction myself, I like that the author understands what it means to love your fandom. Readers everywhere would enjoy this story for the elements of humor, romance, and all things fantasy! Fifteen year old Liz is living the normal teenage life: good friends, somewhat popular & has a nice family. However, all of this comes to an end when she is struck by a taxi and is killed. After she dies, she "wakes up" in a mysterious place, known as "Elsewhere"; where, she ages backward until being born from another woman's womb (a little science challenging). Many surprises await her in Elsewhere: including meeting famous people, meeting the grandmother she theoretically never met, and suddenly being caught in the average teen love triangle. Liz really wants to turn 16-years-old however she can't because of the backwards against process. Will she find a way out... or find a way to live aging backward? Find out in Elsewhere by Gabrielle Zevin. I strongly recommend this book because it takes you to a place outside of the average author's ideas. How many authors write about this life after death? Not that many! Liz has brought me to places I'd never imagine - it kind of makes you wonder: is there Life after Death? It raises a lot of questions for the reader - with the help of Liz, you can answer them. gr In the middle of the Alaskan Gold Rush, Buck, a dog used to the lazy sun-kissed life that he lives in the Santa-Clara Valley is stolen and brought to the harsh Alaskan wilderness. There, he learns the laws of things primordial, and the ways of toil and trail. He witnesses death and endures torture the likes that would make any person cringe. Will Buck learn the ways of his ancestors and answer the call to survive, or die a death the likes that no one should ever go through? The book is really a good read. It fuels the readers imagination with intense imagery. You really feel for all the main characters without being told to. Whenever you read it makes you feel like you truly know these characters. Five friends are chosen to be DHIs at Walt Disney World Resort, DHI being a guide around the park. But what will happen when they wake up at night in the park as holograms, and the rides come to life and try to destroy them? Join Finn, Philby, Charlene, Willa, and Maybeck as they travel through the parks, to try and stop the evil let loose. Who could be behind the bad things happening at the park? I recommend this book to anyone who likes visiting the Disney parks. The book mainly takes place inside the parks, a different park in each book. I also recommend this to anyone who likes Disney or any of Disney's video games, such as Kingdom Hearts. This book is made by Disney and all of the bad guys are evil Disney characters. It is a very good fantasy story that by far beats Harry Potter. It is a little different but it is also the same. Read the book because you don't want any of the book to be spoiled for you. This book has a lot of mystery in it and also elements of a tearjerker. It is also happy in a way. The movie comes out in September 30,2016. So you will want to start the book way before then. This book will keep you on the edge of your seat- it is so awesome, I gave up playing my favorite game to read it. It is about two teens who team up and hunt for "marbles". Marbles are orbs that if you touch them to your head, will give you a secret power, like fast running or singing. When these two find a never found before Orb, they set out on a quest to find the pair. The thing that makes it action-packed is that a wealthy man will do whatever it takes to get the new orb before the teens. Other teens should read this book, because the first third is about growing up and having to find a way to make money. The next part of the book is when they find the new orb. When they find out its secret, they then set off to find the matching orb. They have to dodge traps and attacks from an enemy hunter to keep him from taking the marble from them. The last part of the book is about a pair of "Midnight Blues" that start an apocalypse, but not everyone is in danger....Read it to find out what happens next. After a freak accident that stuns Adaline Bowman's (Blake Lively) aging process, the young woman begins a new life on the run. Adaline routinely hops from one town to the next, switching aliases every time she moves, in fear of allowing herself to get too close to someone and having her secret found out. She manages to successfully slip under the radar of the government and quietly move into and out of people's lives for nearly eight decades before she is stopped by Ellis Jones (Michael Huisman), a philanthropist who is deeply infatuated with her. Captured by Ellis' charisma, Adaline finds herself falling in love with Ellis—an idea that frightens her. Struggling with the dilemma of being found out or losing a man she loves, Adaline is forced to make a decision between the two before it is too late. Throughout the movie, the audience faces the question of whether love is enough. "Be careful of what you wish for" is a fitting reminder for the viewers of The Age of Adaline. The film explores the centuries' old human fascination for the possibilities of eternal youth and immorality. There is more than meets the eye with this romantic drama. The film's plot line cleverly weaves sci-fi into a beautiful love story; the astronomical touches leave the audience star struck and the chemistry between Blake Lively and Michael Huisman is definitely swoon worthy. By the end of the The Age of Adaline, the audience is left in a state of catharsis with a renewed hope in that love truly performs magical things. Steve Rogers, a dainty, slim, and weak, man tries to become a soldier, and he wants to fight in World War II. He is denied access but is soon accepted to participate in an experiment. It is an experiment to create a "super-soldier," a man who is skilled in everything a soldier must be able to do. The procedure works and now Steve Rogers (Captain America) must go help fight in the war and save the Tesseract which has untold powers. This film is one of my favorites because of its action, adventure, conflict build-up, etc. The plot is interesting and it keeps you entertained in every scene. A lot happens but not so much that you are confused throughout the whole movie. Also, it doesn't hurt that there is a little humor in the film, too. Zootopia is about a rabbit who becomes a police officer in this animal city. A big case comes up that she must solve. Along comes this fox who becomes her partner for the case. 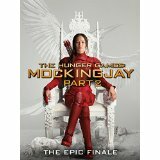 These people who have particiapted in the Hunger Games want to stop the Games because they have to kill lots of people even children. If they win the Hunger Games, then they hope to stop the Hunger Games all together. Later on, when they do win, some of the characters want to make a Hunger Games for the other peoples' children. They eventually end the Hunger Games once and for all. If you like action and adventure then you should watch this series of movies. After you watch the first one, you will want to watch the rest of them. The series is so entertaining that you will want to know what happens next. The beginning may seem boring and slow, but when you get to the end, you understand it all. In the movie, Chances Are, a man dies on a way to a date with his wife who they just found out is pregnant. He is reincarnated and meets his daughter later in his new life. He develops an interest in his daughter, until he remembers his past life and, most importantly, his wife. In the end, he must choose his path. Chances Are is a hilarious and quizzical movie. The humor created from the reincarnated husband Louie Jeffries (played by Christopher McDonald) living with his wife Corinne Jeffries (Cybill Shepherd) and daughter Miranda (Mary Masterson) under the same roof keeps the story amusing. To add to the irony and drama, Louie's best friend (Ryan O'Neal) is in love with his wife. Watch Chances Are to join these guys in the amazing journey to find a deeper meaning for life. Stardew Valley was developed by ConcernedApe, and he has a company called ChuckleFish. ConcernedApe took four years to make Stardew Valley. Stardew Valley is a sandbox game similar to Minecraft, but instead of the player being put into the world and told, "Okay! You're in, go build stuff," Stardew Valley has the player's character be a farmer moving to Pelican Town. The players can marry someone (normal romance or homosexual), fish, make a farm, and mine. This game came out February 26, 2016. You should play this game because its just that awesome! Its based in the country, so you can be Farmer Jon or Farmer Brown. And if you find a bug or glitch in the game, and you report it to ConcernedApe, he fixes it in a day. So there is no problems with the game. 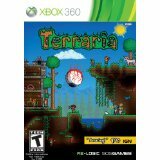 Terraria is a 2-D action adventure game where the player can explore the world, fight monsters, build, and mine. There is plenty of biomes. There is no shortage of cool weapons. It can be VERY difficult or very easy. It is also available on all game platforms. You will like this game if you like action and adventure, like to play games by yourself, like to play games with others online, and if you like to beat bosses and random monsters. This is an online minecraft server where you become a Hogwarts student inside of minecraft! My friends and I love Minecraft. We also love the Harry Potter series. My friends got sorted into Gryffindor, and I got sorted into Hufflepuff. Each player takes classes with real life professors and earn spells to graduate from Hogwarts. You can play online with all of your friends!! This is a sci-fi video game set in the 25th century where there are aliens and ancient ancestors of all humanity. You play as a Spartan alone or in a group of Spartans. Spartans are people that have been genetically augmented to be super humans and have a set of high tech ballistic power armor. You play as a spartan trying to restore peace and balance to humanity and the universe. 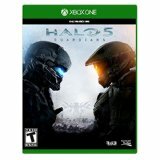 I strongly recommend Halo 5: Guardians because it is a game of the very popular and well known Halo franchise. It has been a beloved franchise since the first release in 1999. The franchise has grown and expanded ever since that time. The improvements in technology over the past decade have made this franchise unbelievably amazing in every way. Halo 5: Guardians is the latest game with its release in 2015. The game is all out fun and suspenseful with secrets and reveals around every turn. The game brings an amazing story mode, as well as various multiplayer modes and a mode called Forge. Forge allows you to take any map in the multiplayer mode and create anything and place anything in the game and build whatever you want, the only limit is your imagination. if you like action and adventure from a first person perspective then you'll love Halo 5: Guardians. Undertale is a RPG game with three routes: pacifist, neutral, and genocide. In Undertale, the player fights (or spares) monsters. You play as a human who falls in the underground after there is a war against monsters and humans. This game has very unique characters, and you will like them more as the game progresses. In the pacifist route, you are the human who spares all the monsters, which means you do not kill any monsters. In the neutral route, you kill at least one monster, but not all of them. In the genocide route, you kill all the monsters. Also, the soundtrack is amazing! You should play Undertale because you will be amazed at how great the game is. Also, the game has great characters and a soundtrack that you will grow to love. 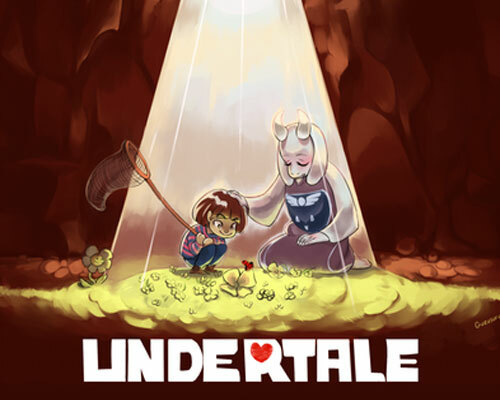 Undertale also has a very entertaining and fun game that made me wonder how the creators thought of it . The game will have a very pleasant surprise because of the secrets that only the creators know. NBA 2k 16 lets the player use the most up to date NBA rosters and play with friends either online or sitting next to you. The My Career feature offers the player a chance to create an NBA player and have them go through all of the stages of an NBA career. There are also features like 2k ProAM which allows you to play online with other people's MyCareer players on teams 5 on 5 and MyTeam which lets you buy and auction players and create your own team. I recommend this game to anyone who likes basketball and wants to get an idea of what its like in all aspects of the NBA.